Pakistan Journal of Nuclear Medicine (PJNM) aims to contribute towards research and education of physicians in the field of nuclear medicine and allied sciences. The journal shall provide a platform for publishing and disseminating scientific and clinical contributions of the nuclear medicine community nationally and provides an opportunity for exchange of information and collaboration with the international nuclear medicine community at large. The journal welcomes a wide variety of publication formats including editorials, state-of-the-art review articles, original scientific and clinical research papers, case reports, interesting scans, letters to the editor etc. 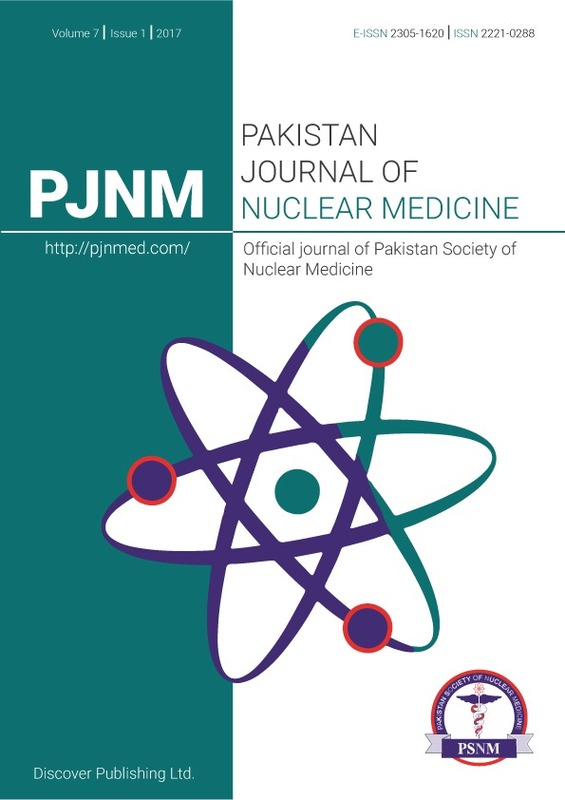 PJNMed is the official journal of Pakistan Society of Nuclear Medicine.